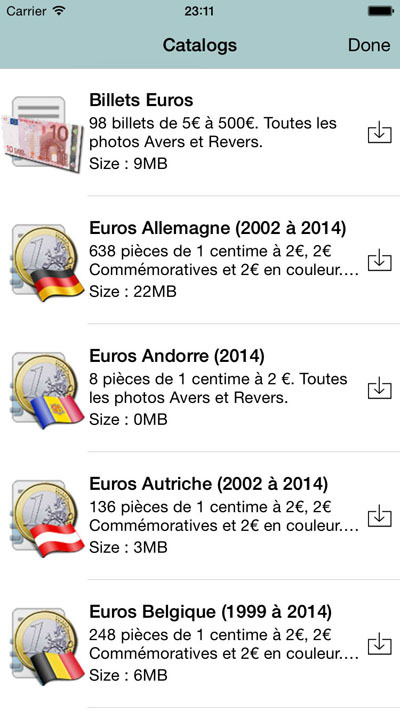 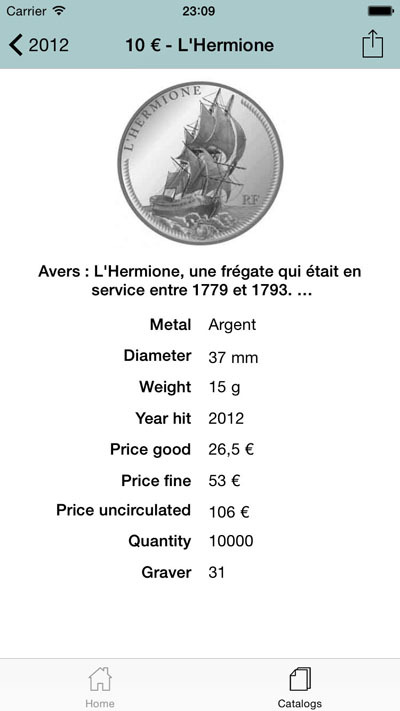 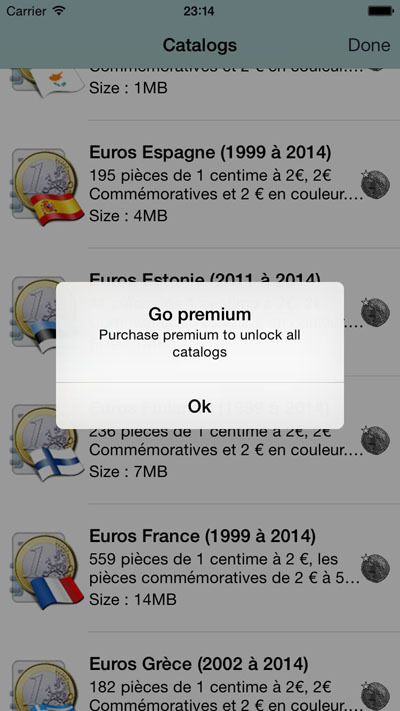 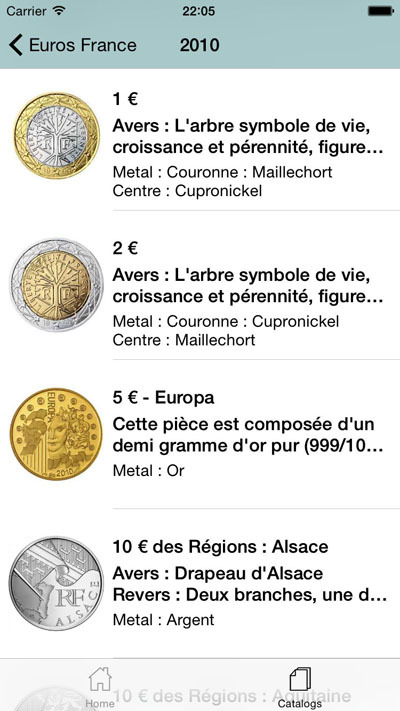 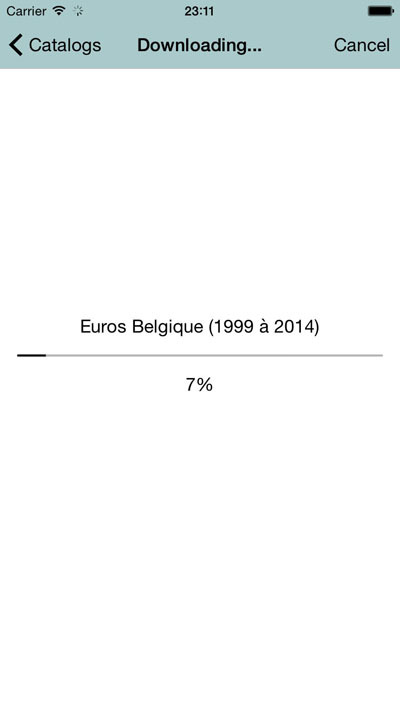 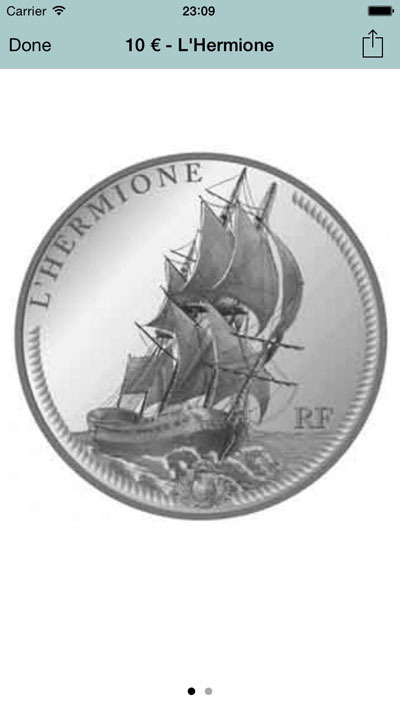 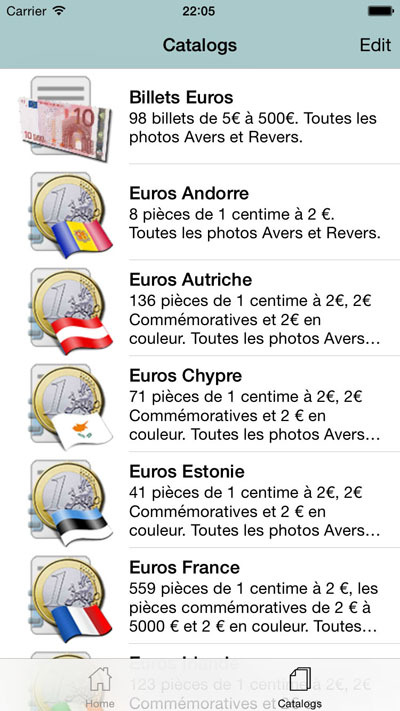 Consult your catalogs of Euros coins and old French coins on iPhone and iPad. 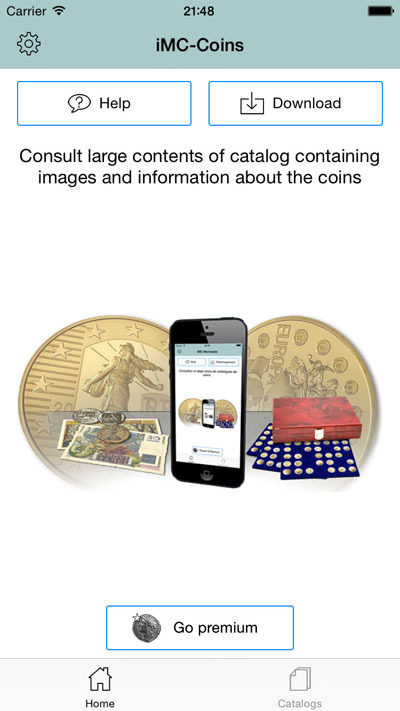 Download and consult catalogs of coins. 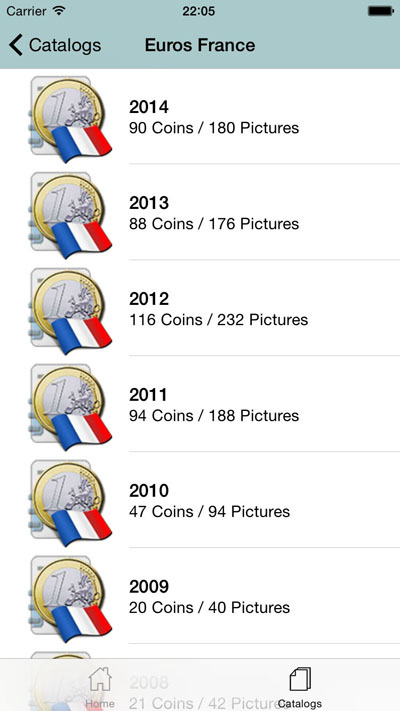 More than 10000 coins available. 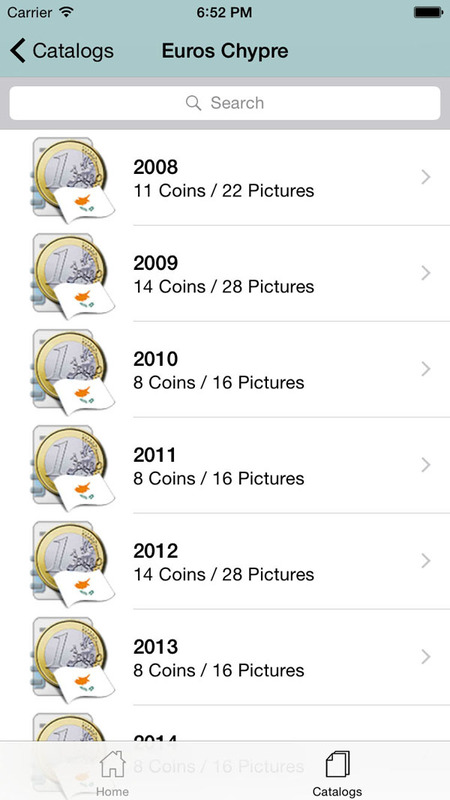 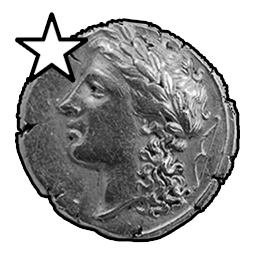 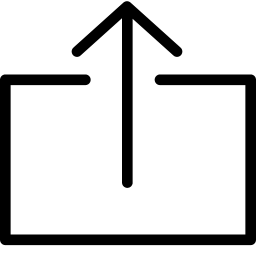 Download a catalog of coins. 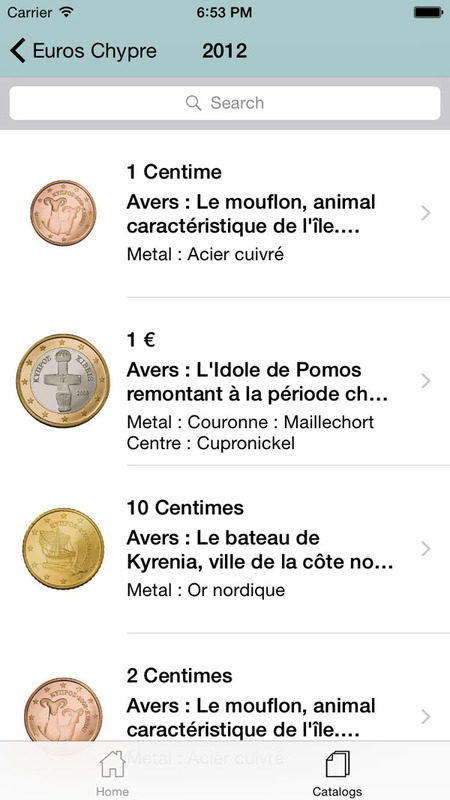 Allows you to select a catalog and display the list of periods and coins. 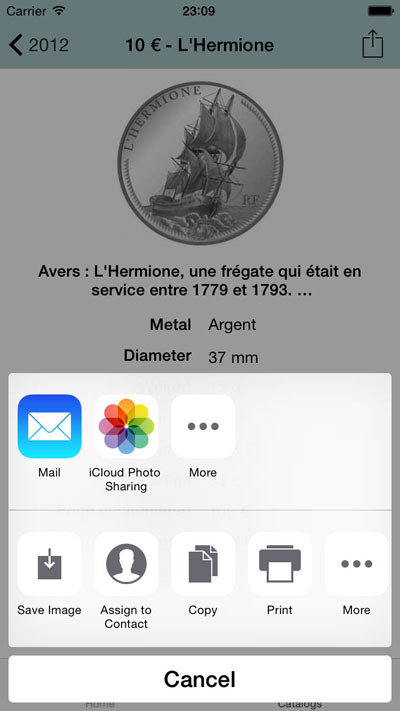 Allows you to share coins by E-Mail or social networks.